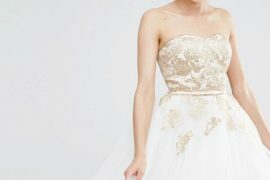 This dress may not seem like the most exciting thing you’ll ever buy, but as the proud owner of two dresses from this brand, I can promise you will not regret it. 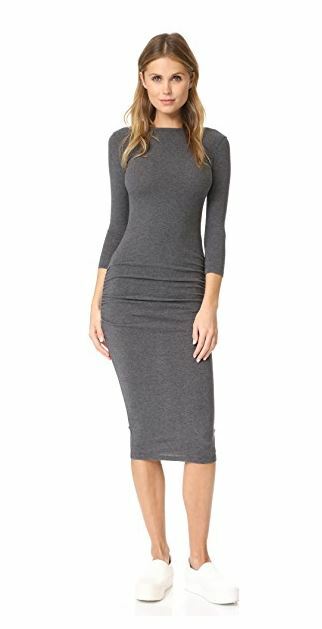 I wear mine constantly, and find them incredibly comfortable, and also very flattering: best of all, they’re the kind of dresses that can look dressy or casual, depending on what you wear with them, so although they’re not cheap, they ARE versatile, so they should easily earn their closet space. This grey version is next on my list, and while the low back wouldn’t be my first choice of feature (I love the look of it, but get really cold! 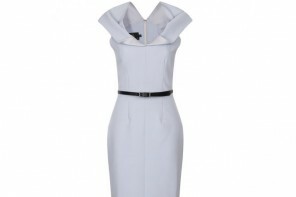 ), it does add an extra dose of elegance to this! I’m also loving this gorgeous pleated midi skirt, for both the colour and the style. 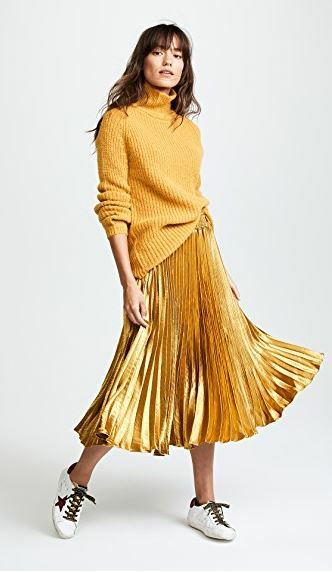 This type of skirt was really popular around this time last year, and I’m glad the trend is still going strong: it’s such a ladylike look, but one which, as you can see from the way Shopbop have styled it here, can really easily be brought up to date with a slouchy sweater and a pair of sneaks. After years of lugging a giant handbag around everywhere I go, this year I’ve been downsizing a little, and have been trying my best to travel light. 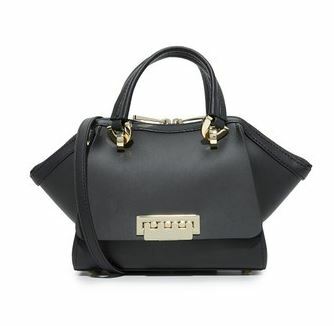 I’ve always loved Zac Posen’s ‘Eartha’ bag, and this mini version is super-cute – if only I didn’t have a sneaking suspicion that it wouldn’t hold even half of the stuff I need it to!